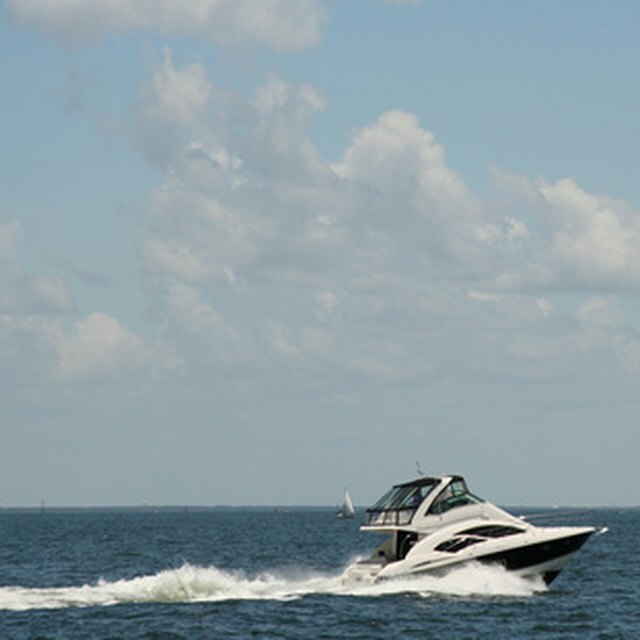 Is Insurance Required to Register a Boat in the State of New York? "Moped" can mean different things to different people, despite the fact that the word has a particular definition: a lightweight motorbike that can be pedaled, according to the Merriam-Webster dictionary. Common usage often changes the meaning of a word, and that has occurred with "moped." Before you can determine whether you need insurance for a moped, you first need to define what type of vehicle you are describing. Mopeds can mean anything from a bicycle with a motor to a motor scooter as powerful as some motorcycles. If parents hear that the police often call mopeds with a 50-cubic-centimeter engine "liquor cycles," they might not be too keen on having their teen or college student drive one. The creative moniker is applied to mopeds that cannot go over 30 mph. Such vehicles do not require owners to have registration, insurance or a driver's license to drive them around town in some jurisdictions. That is the case in Georgia and in South Carolina, for example, according to "The Augusta Chronicle." States have different requirements, so you always need to check the requirements of your state to see what you need to do to drive your moped legally on the roads. Mopeds in areas with no restrictions are typically popular with teenagers, college students, people who cannot afford a car, and people with a suspended license. People often say "moped" when they really mean "motor scooter." The two names have become synonymous in many cases, according to MotorScooterShopper.com, a website that provides information on mopeds and motor scooters. Most jurisdictions consider motorized vehicles with an engine larger than 50 cubic centimeters to be a motor scooter. Motor scooters often require the same type of insurance as you would need if you owned a motorcycle, according to Barbara Marquand of Insurance.com, in a Fox Business article. If your state requires you to buy insurance whether you own a moped or a motor scooter, you typically would be required to purchase liability insurance only. That covers the other guy in case you caused damage to his vehicle or caused injuries to him from an accident that was your fault. If you want insurance that would also cover your moped or motor scooter if it were damaged in an accident or was stolen, you would need to have full coverage, which includes collision and comprehensive insurance. Insurance for a motor scooter or a moped is typically cheaper than motorcycle insurance and car insurance because mopeds and motor scooters are generally cheaper than motorcycles and cars. If You Don't Use a Car & Just Let It Sit There Do You Still Have to Pay Insurance? Does Auto Liability Insurance Follow the Car or the Driver? Do You Have to Buy Insurance Before You Drive a Car Off of the Lot? If you own a moped with a 50-cubic-centimeter engine, you likely can't get it to go over 30 mph. That means you should not drive on major roads that are heavily trafficked. Tom Clancy, owner of the Augusta Truimph-Ducati motorcycle dealership in Georgia, said that those vehicles belong only on secondary roads. Fatalities have increased for moped drivers. They tend to occur when a moped on a busy highway is rear-ended, according to reports from Aiken County, S.C.
MotorScooterShopper.com: Mopeds and Scooters—What’s the Difference? Fox Business: Motor Scooters: Do You Need Insurance?